Everyday it’s #somethingnew, and we just read about a new trend that we could totally see gaining popularity in the wedding world - because it’s super cute. According to the only beauty source we trust, Allure, makeup artists are starting to take heart-shaped blush literal. 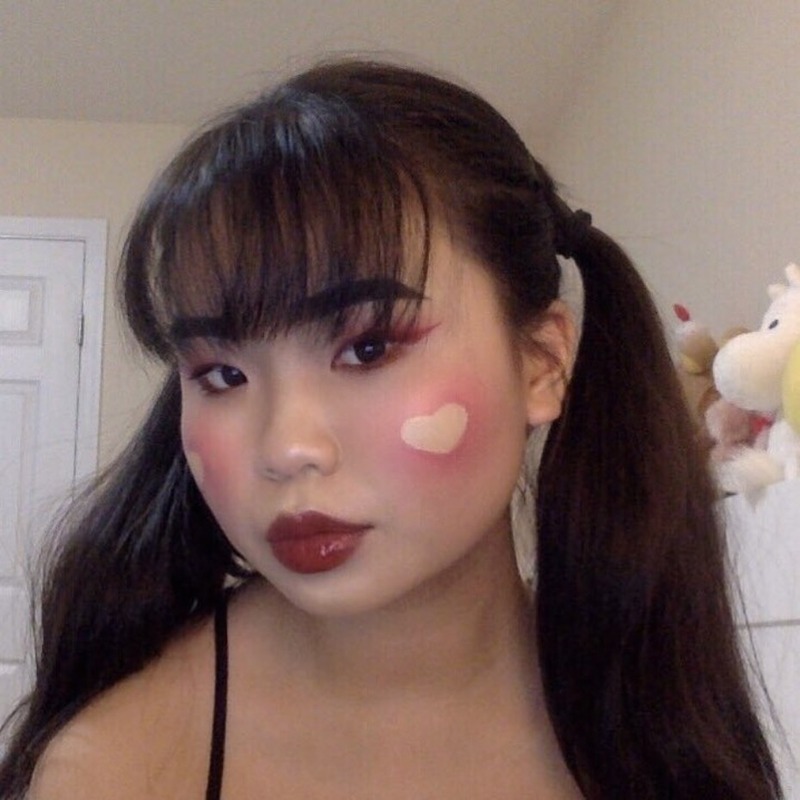 Instead of buying up all the Too Faced heart shaped blue compacts, MUAs are actually applying blush to look like hearts on the apples of their cheeks. Whether done in a negative space look or a solid heart motif, the trend is kind of adorable and just the right blend of sweet and sassy for the confident and experimental bride. A little bit K-beauty trend, a little bit Disney Princess - you’ll see why in just a few…. Here’s the negative space look, made famous by Saebom, and interestingly enough, she wasn’t even going for this bold, queen of hearts contour. It was by accident that she stumbled upon a sweet new style. According to Allure, she was trying out a Japanese blush trend called ‘the hangover blush” look, when things went a little rogue… Instead of ending up with a soft, v-shaped stroke of pink, she “did it a little lower than it needed to be,” and “lately, drawing shapes with makeup has been a growing trend, so I decided to go along with it.” She broke out some concealer and an eyeshadow brush. Using the concealer, she painted on the shapes by hand (you can use a stencil, if your hands are shaky). And now, here’s the other one that’s a little more dollish. I happen to be more partial to this one, but hey either can work! Just use your stencil to apply the blush and soften the lines with a big fluffy brush so you’re not left with stiff lines and a harsh vibe. While the dramatic looks seem a bit more appropriate for couture runways over ceremony aisles, we could see the heart-shaped blush working for a wedding day (hearts and love, love and hearts) if it’s toned down A TON. That being said, maybeeee a bachelorette party would be the place for this? For now, we’ll just stick to Christmas makeup and ugly sweaters.